Leave a question for Ann, and she'll get to as many as possible this morning. Join us today at 11 AM to chat with Ann Limpert. Have a question about where to eat at Nats Park? Which rooftop or patio you should hit for happy hour this week? Or maybe you just need a dinner recommendation. Leave a question now for Ann, and she’ll get to as many as she can Friday morning. Ann: Good morning and happy SPRING, chatters! Hope you’ve all had great weeks. I am that jerk who brings the NYT crossword to a baseball game, so it’s saying something that I’m excited to head to Nats Park this summer. Why? Dan dan sloppy joes. Bulgogi hoagies. Buffalo-chicken empanadas. The concessions have gotten a real boost, thanks to additions like Tiger Fork, Chiko, Hank’s Oyster Bar, and DC Empanadas. The most over-the-top option comes courtesy of Medium Rare’s Mark Bucher, who is fashioning what is basically his restaurant’s entire menu—steak, fries, that dreamy special sauce, and Palladin bread—into a sandwich. Sign me up. Something else that excites me greatly: the marriage of Ex Hex and mint-chocolate-chip ice cream, two of my favorite things. 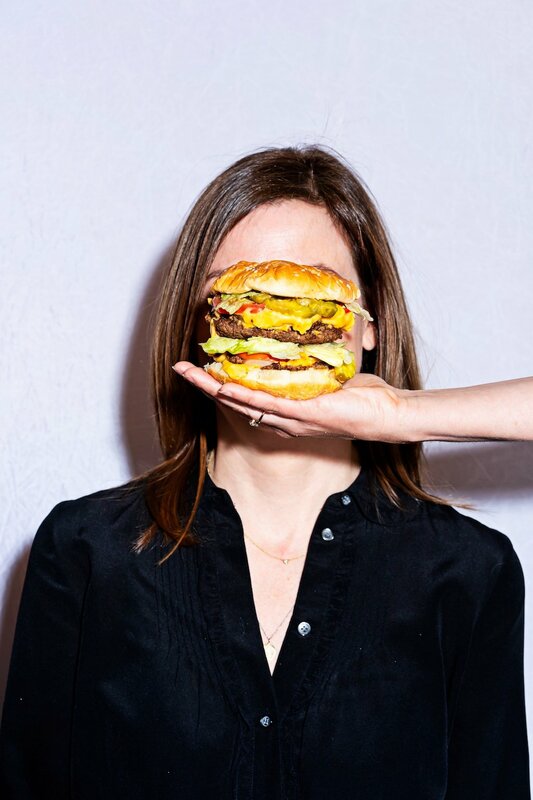 Anyway, I am peeking out from behind the cheeseburger (h/t to the great Scott Suchman for the spiffy new photo) to answer your questions for the next hour. Ask them in the form below; the chat transcript shows up underneath.